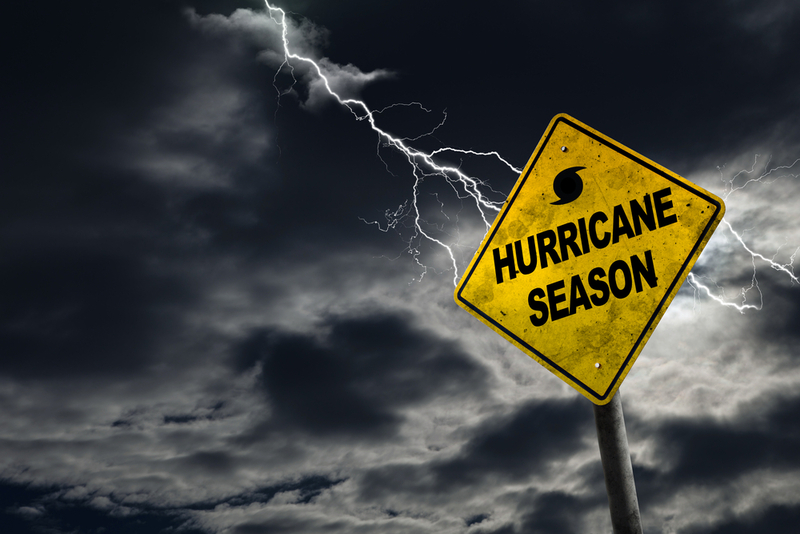 While the 2017 hurricane season officially started about six weeks ago, it’s never too late to get yourself and your family prepared. The Colorado State University Tropical Meteorology Project, one of our nation’s leading weather forecasting teams, has just increased its prediction for storms this year up to 15 named storms, eight of which are projected to reach hurricane status. While no one can predict if a hurricane will hit the United States, those of us living near coastal areas that are likely to be in the path of a hurricane (like the north Houston area) should be prepared just in case. The first step in preparation is to gather a supplies kit of basic essentials. Ready.gov recommends the following: one gallon of water per person per day for at least three days, for drinking and sanitation; at least a three-day supply of non-perishable food per person (and a can opener and utensils); battery-powered radio; flashlight; first aid kit; a whistle to signal for help; wet wipes, garbage bags and plastic ties for personal sanitation; and a cell phone with chargers or extra battery. For those of us in north Houston, The Woodlands and Magnolia, the most likely problem resulting from a large storm is loss of electricity. Having flashlights and lanterns on hand is very important, along with a supply of batteries. Backup generators are seen as hot commodities in the wake of a storm, but buying one might not be a necessity. Battery-powered fans, gas ranges or camping cooking supplies, and a stocked cooler of ice can get you through several days. However, if you live in a more remote area with a history of long periods of electricity loss, it might be worth the investment. The second most likely issue resulting from a named storm is flooding from heavy rainfall. If the ground is saturated from earlier rains and flooding is a high possibility, move valuables from the ground floor to the second story or attic. If flooding is imminent, shut off the main electrical power to your house, but do not stand in water to do it. If the electrical box is already surrounded by water, just leave it. If your area has experienced flooding before, a battery powered sump pump can help remove water from your home. It may be wise to invest in flood insurance, but most policies don’t go into effect for several weeks or months after you apply so don’t wait until a storm is on its way to call your insurance company. Another result of a tropical storm or hurricane is downed trees causing blocked roads and roof or property damage. Do a quick survey around your house and lot to check for dead or weak trees and consult with a landscaper about having them trimmed or removed. Park vehicles inside your garage and bring valuable lawn decorations and patio furniture indoors or under cover before a storm hits. By following these tips and staying alert to weather and news reports, you can decrease your chances of being in a bad situation if a storm is coming your way.